How many episodes of Inuyasha have you seen? Miroku: [looking at the Water Goddess] You're so beautiful, yet so tiny. It would be a first for me, but I'm certainly willing to try. Strongly recommended to those who enjoy a rich, entertaining fantasy tale. It's a shame that viewers outside of Asia tend to shun anime as "kid's stuff". Though the Inuyasha anime series seems to be directed at a predominantly teen aged audience even in Japan, Rumiko Takahashi is a master storyteller and Inuyasha nonetheless appeals to people of all different ages, genders and backgrounds. Nobody spins a tale like Takahashi and Inuyasha is a brilliant example of her skill. 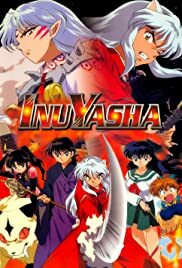 Weaving a complex storyline interspersed with action, fantasy, the innocence of young love, and a cast of endearing though fallible characters, Inuyasha is a rich fantasy tale drawn from Japanese mythology and set in feudal Japan. Names and references to actual Japanese historical and mythological characters interwoven into the story gives this series added texture and richness not readily found in most graphic novels. Takahashi lightens the serious tone at times with uniquely Takahashi humor (often imitated, never duplicated) and creates credible, flawed characters whose shortcomings become endearing over time. If the animation is too childish for you, try reading the original graphic novel series, which is even more outstanding since the anime doesn't do Takahashi's comic timing any justice. Strongly recommended to those who enjoy a rich, entertaining fantasy tale.